Chobham U14s finished 2016 the way they began with a victory at near neighbours Bracknell. In contrast to the mudbath in January conditions underfoot were close to freezing and kick-off was delayed for an hour, giving SamO the chance to join the squad. 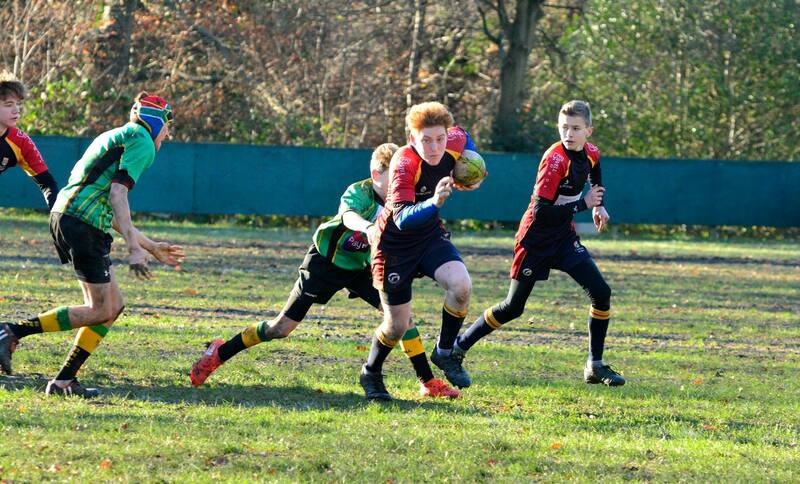 When the ref gave the green light the game started as a cross between a rugby league touch and Under 7s tag with no tackles. Possession would be crucial and Bracknell figured this out first as they opened the scoring in the first couple of minutes. 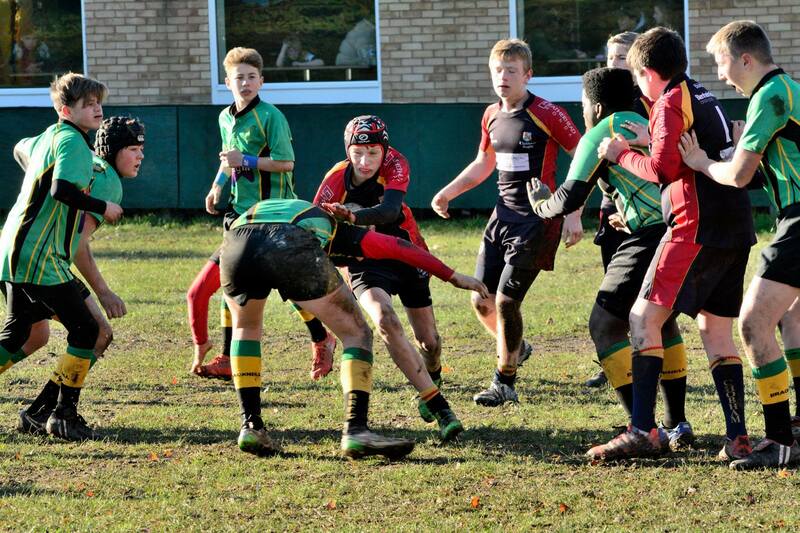 Chobham taking their time in understanding that it wasn’t touch but holding their opponent was needed to effect a tackle. They seemed to figure out though as they quickly levelled the score with Tommy going close after stealing a poor pass. The Bracknell defence was stretched and over committed to the tackle area and Jack finished things off from simple hands creating a big overlap. This set the platform for another quick score from the restart as a couple of forward rumbles again pulled the defence in and effective passing created the overlap again for Charlie to go over. 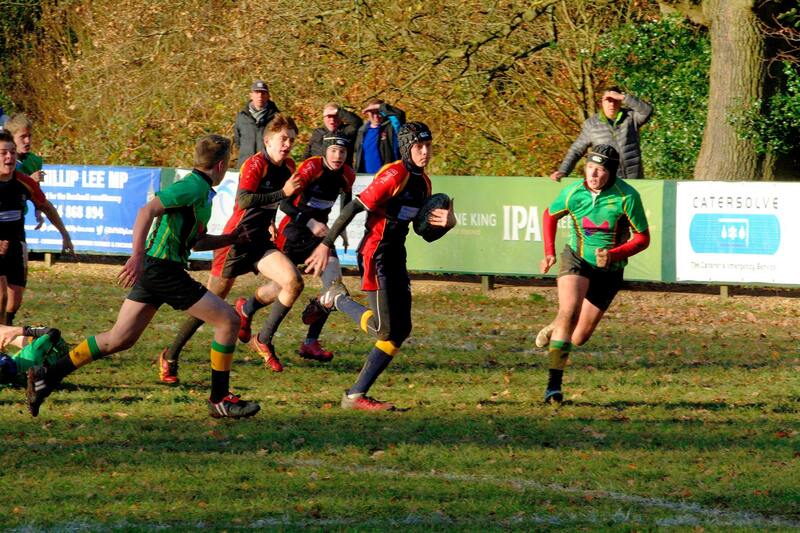 It was 15-5 before much longer as Chobham won a penalty in midfield and kicked for a lineout inside the Bracknell 22. 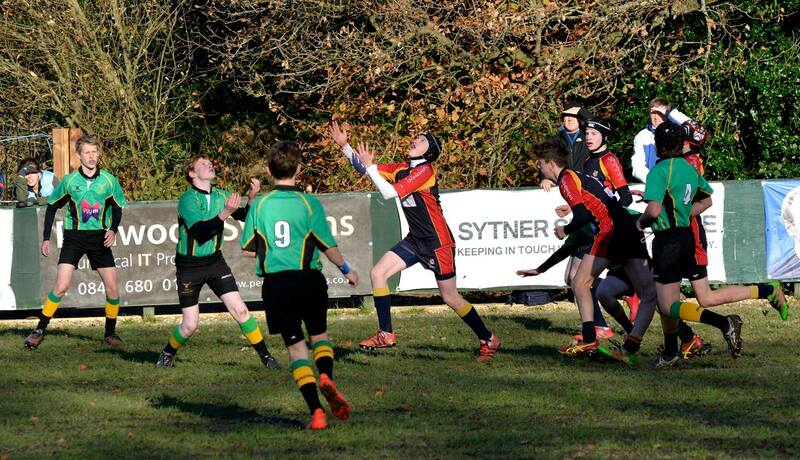 Another penalty at the lineout was taken quickly and spun wide with George laying off to Chris for the points. 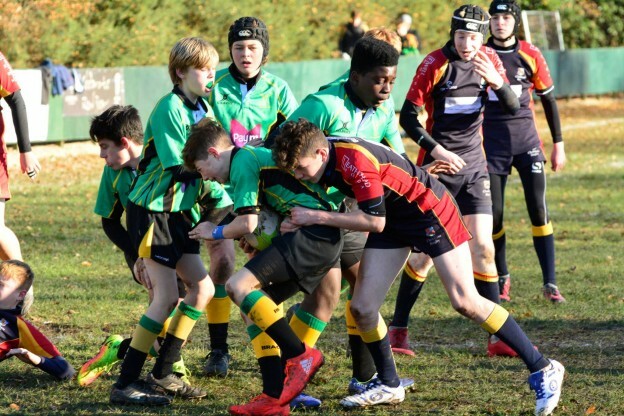 At this point the ref and coaches agreed the boys could revert to playing the way nature intended and again Chobham were slow to adapt to the change in playing conditions. A clearing kick to midfield was gathered by the Bracknell 8 at pace who gave the rest of the green pack a target to aim for. Playing short around the breakdown and aggressive rucking took them close and earned a enalty advantage, but one more charge was enough for the hosts to reduce the deficit to 5 points. For the remainder of the half Bracknell used the pick and go to good effect and kept Chobham pinned back in their own half. The half ended with Bracknell battering away at the thin blue line, but the line held firm through about a dozen phases and finally forced a penalty for holding on in the tackle. Into the second period, and both sides continued to play a fairly tight game asking questions of the close defensive formations of their opponents. Fin and Oli combined well to force Bracknell to scramble back but Chobham couldn’t make a decisive break to open out the game. By now Chobham had the upper hand and the first score in the half came from a turnover from Bracknell’s Leicester like lineout drive. Fin again was on the front foot before MattW saw a half gap and got close. Quick recycling gave Gideon the yard of space he needed to cross the whitewash and score under the posts, then converting for a 22-10 lead. The Bracknell coaches were doing their best to point their team in the right direction but Chobham had a stranglehold on things by now. A well worked break that attacked left and then right almost created the simplest of finishes for a fifth try but the final pass was just forward. Chobham weren’t to be denied however and a missed clearance by Bracknell gave Jack the space to run right back at them. A high tackle wasn’t enough to stem the tide and Reece finished off the scoring from close in after the rest of the pack had cleared out the ruck. The next outing for the squad will be after the Christmas break and a Waterfall Cup match against an unknown quantity in Sutton & Epsom. Squad: Jack, Harry, Chris, Doug, Fin, George, Gideon, Dan, Charlie, Oli, MattW, MattN, Al, Tommy, Reece, Harrison, Callum, SamO.